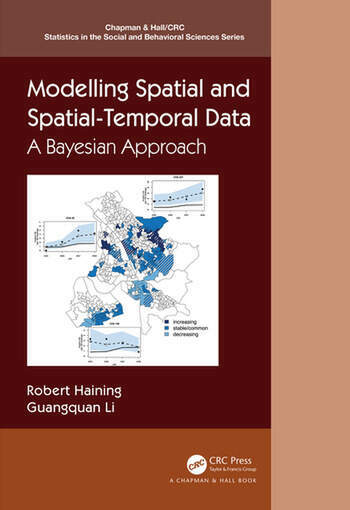 Modelling Spatial and Spatial-Temporal Data: A Bayesian Approach is aimed at statisticians and quantitative social, economic and public health students and researchers who work with spatial and spatial-temporal data. It assumes a grounding in statistical theory up to the standard linear regression model. 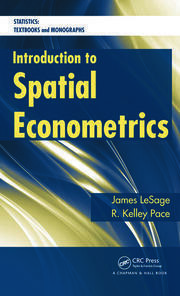 The book compares both hierarchical and spatial econometric modelling, providing both a reference and a teaching text with exercises in each chapter. The book provides a fully Bayesian, self-contained, treatment of the underlying statistical theory, with chapters dedicated to substantive applications. 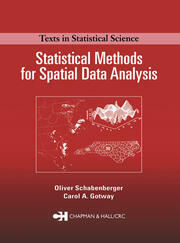 The book includes WinBUGS code and R code and all datasets are available online. 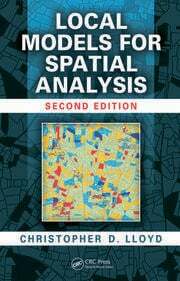 Part I covers fundamental issues arising when modelling spatial and spatial-temporal data. Part II focuses on modelling cross-sectional spatial data and begins by describing exploratory methods that help guide the modelling process. There are then two theoretical chapters on Bayesian models and a chapter of applications. Two chapters follow on spatial econometric modelling, one describing different models, the other substantive applications. Part III discusses modelling spatial-temporal data, first introducing models for time series data. Exploratory methods for detecting different types of space-time interaction are presented followed by two chapters on the theory of space-time separable (without space-time interaction) and inseparable (with space-time interaction) models. An applications chapter includes: the evaluation of a policy intervention; analysing the temporal dynamics of crime hotspots; chronic disease surveillance; and testing for evidence of spatial spillovers in the spread of an infectious disease. A final chapter suggests some future directions and challenges. Robert Haining is Emeritus Professor in Human Geography, University of Cambridge, England. He is the author of Spatial Data Analysis in the Social and Environmental Sciences (1990) and Spatial Data Analysis: Theory and Practice (2003). He is a Fellow of the RGS-IBG and of the Academy of Social Sciences. Guangquan Li is Senior Lecturer in Statistics in Department of Mathematics, Physics and Electrical Engineering, Northumbria University, Newcastle, England. His research includes the development and application of Bayesian methods in the social and health sciences. He is a Fellow of the Royal Statistical Society. 2. Concepts for modelling spatial and spatial-temporal data: an introduction to "spatial thinking"
Prior, likelihood and posterior: what do these terms refer to? The reduced form of the SLM and the constraint on? Do we combine the space and time components additively or multiplicatively? 17. Modelling spatial and spatial-temporal data: Future agendas?